We are a market leader in new SAP BI implementation projects and also offer continuous SAP support, according to your business needs. Our dynamic team of certified SAP consultants have various multinational projects under their belts, and over 40 years of collective SAP experience. Over the years, we have matured into a full-capacity organisation, with multiple clients and business partners. You are guaranteed professional service of international standards. Our office in Somerset West is close to Cape Town, Cape Town International Airport and the Cape Winelands. 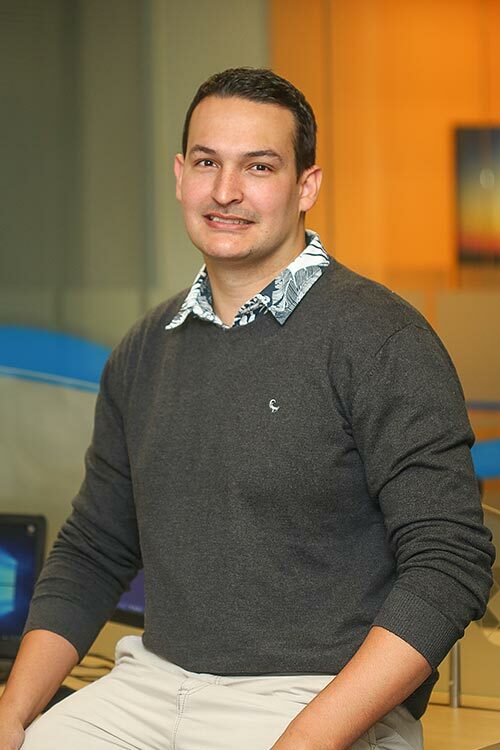 After completing his degree in Management Accounting at the University of Stellenbosch, Ferdinand was the Financial Manager of several organisations before joining the SAP Consulting World in 1997. To date he has over 20 years experience in SAP Business Intelligence and EPM on four continents. As a Deloitte Alumni, he has gained valuable insights into the effective implementation and use of BI and EPM solutions. Ferdinand founded BI Tech in 2009 and enjoys seeing the organisation grow from strength to strength. Zack currently holds the position of BI Team Leader and is responsible for supporting several large mining, retail and manufacturing clients on multiple platforms. He is an experienced consultant in several financial and technical business areas and has 6 years’ experience in working with Business Warehousing, Integrated Planning and embedded BPC. Zack started his journey studying mechanical engineering and then migrated to business intelligence arena. He thrives in a high paced and technical environment and has thus far excelled throughout his career. Johan has 15 years of experience in SAP Business Intelligence and Warehousing, and has a passion for technical challenges. He started his career in 1998 as a Cobol and Visual Basic programmer, and migrated to the SAP world in 2001, where he mastered the SAP BW module. Having implemented numerous BI solutions, he has gained expert knowledge on the effective use of the SAP BI toolset across most functional areas. Johan was employed by UCS, Deloitte Consulting, and BHP Billiton before joining the vibrant team at BI Tech as Team Leader. © 2009-2018 BI TECH SUPPORT Terms and Conditions. All rights reserved.A Lookhere Design.